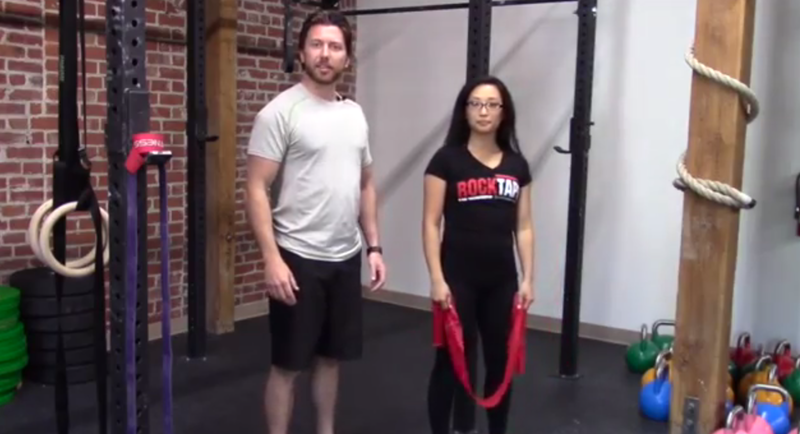 Dr. Cody and Dr. Kaitlin demonstrate a simple exercise with a theraband to help rid low back pain, improve posture and increase performance in squats, deadlifts and other posterior chain based movements. - The hands should stay in place throughout the whole movement. - Motion is directed through the hips. - Maintain slight external rotation of the hips and straight, but not locked out knees. - Hinge until you feel slight tension in the hamstrings. - Hold for 30 seconds.